Keeping Floating Offshore Installations on station for extended periods requires effective methods for managing hull external corrosion, particularly for areas constantly under water. FOIs may not dry dock for extended periods and coatings and anodes may not last for the required life on station. Maintenance will require expensive diver or ROV intervention with associated cost, POB and safety implications. 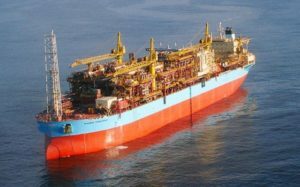 EM&I have developed HullGuard® which is a new class accepted ICCP (Impressed Current Cathodic Protection) system, specifically designed for FOIs including FPSOs, Drill Ships, MODUs and FLNG assets. HullGuard can be easily installed on new assets or can be retro-fitted to those in operation without the need for diver / ROV intervention and with no operational disruption. HullGuard uses an EM&I developed system of retractable anodes, specifically designed for FOI assets, which overcomes the disadvantages of conventional systems based on ship requirements. HullGuard can be used as an upgrade to existing ICCP or sacrificial anode systems for life extension projects or to replace existing diver / ROV maintained anode systems. HullGuard avoids the risk and cost of diver / ROV intervention, yet provides effective protection for the life of the asset on station at a significantly lower life cycle cost than alternative methods.